Disease? Not On My Farm! 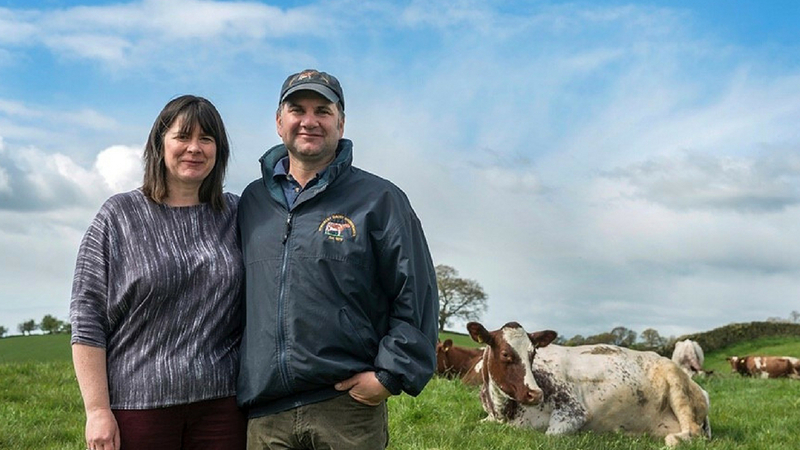 ambassador James Robinson and his wife Michelle have hosted school visits for over seven years on their organic dairy farm in Kendal, Cumbria. Using funding from the Higher Level Stewardship (HLS) scheme, James and Michelle have invested in an on-farm class room, where part-time teacher Michelle hosts educational talks for school groups. How did you get involved in hosting farm visits? “Through Michelle’s links with the local primary school, we began by hosting groups of children to teach them about food production. Then we applied for HLS funding for further visits and an on-farm class room. We also purchased a purpose-built trailer with disabled access to help transport the children down to our woods,” says James. Why is it important to host children on farm? “Every generation is moving further away from farming and it’s so important to open people’s eyes to modern agriculture. We should engage them from a young age, not only to understand food production, but also to show them a potential career pathway,” says James. How do you control biosecurity risks with children around? “Hand washing and changing footwear is really important to prevent children taking dirt home with them. You’re never going to completely eliminate risks, but you can reduce them by having facilities and procedures in place for the visit. We set out clear rules and guidelines with teachers or parents before the visit and repeat this on the day of the visit,” says Michelle. How do you make it engaging and interesting? “I try to link into the curriculum where possible and keep things seasonal. For example, at Easter we looked at how milk is produced and related this to the milk used in chocolate for Easter eggs,” says Michelle. “Farming now uses so much technology, by bringing children on farm we can show them how advanced agriculture is now and engage the next generation. “Children are like sponges but it’s the adults who are also listening to the questions and answers on visits, that means we can educate them both. It’s important to keep encouraging questions and emphasise that there is no such thing as a stupid question,” says James. For more information on how to host a farm visit here. Visit farmingismagic.co.uk for more ideas on how to share your story.